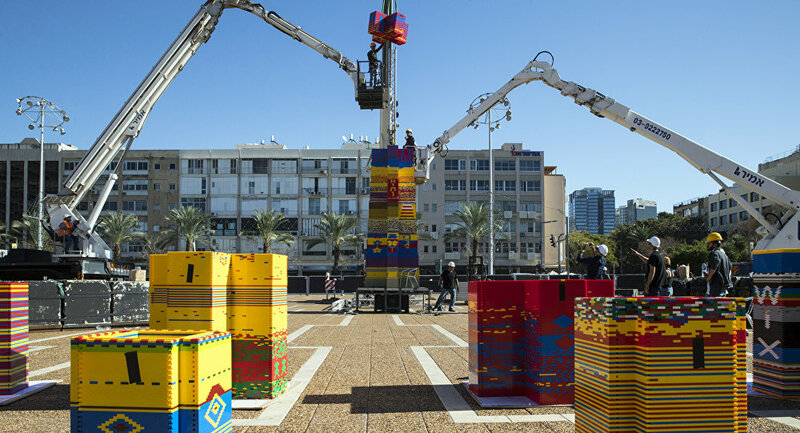 Workers and volunteers in Tel Aviv, Israel, have erected a 118-foot tower of half a million brightly colored Lego bricks donated by city residents eyeing to establishing a world record. The project, launched a year ago, is the brainchild of teachers of an 8-year-old boy, Omer Sayag, who succumbed to cancer in 2014 and loved to construct Lego towers during his fight with the deadly condition. The tower overlooks the municipality headquarters in Rabin Square. According to officials at City Hall, photos of the “Lego” tower would now be submitted to Guinness to verify the city’s claim. The previous Guinness record belongs to an Italian subsidiary of Lego, which built a 115-foot tower for the Milan World Expo.